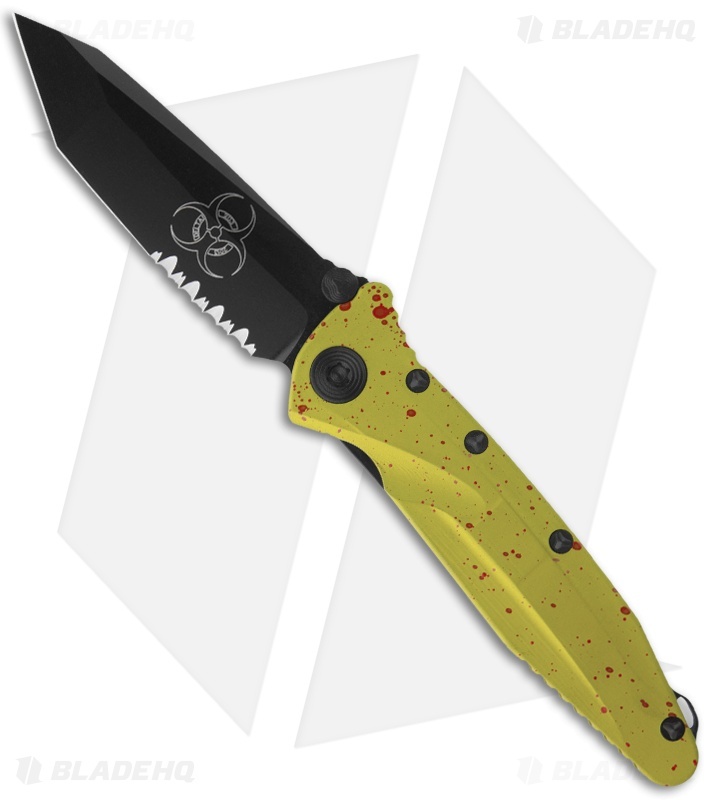 The Socom Zombie Delta folder features a green coated aluminum handle with random blood spatter and a toxic/hazard logo on the blade. This is a limited edition knife that you'll want to have around! The Microtech Socom Delta has a Tanto blade with a black finish and a partially serrated edge. The Elmax blade is deployed using the ambidextrous thumb studs. This Socom has a T6 aluminum handle. The handle has black finished hardware, pocket clip and a titanium back-strap with lanyard hole. Torx T30 pivot adjustment screw. The fit and finish of the Socom Delta Tanto is excellent, just as you'd expect from Microtech.